Can I Travel to Canada If I Have a DWUI? Driving while under the influence (DWUI) is the acronym often used for drunk driving in the state of Wyoming. The state considers impaired driving to be a serious criminal offense, and prohibits the reduction of DWUI charges to lesser offenses such as reckless driving. 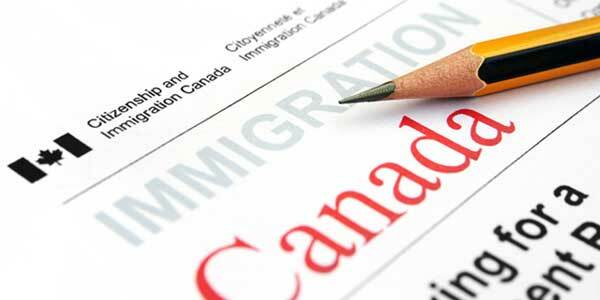 Any foreign national with a DWUI on their criminal record may be considered criminally inadmissible to Canada and denied entry unless they have special permission from the Government. Americans can obtain special permission for Canada DWUI entry via Criminal Rehabilitation or a Temporary Resident Permit (TRP). Canadian Criminal Rehabilitation can enable you to conquer your criminal inadmissibility permanently but takes a long time to get and is only available to people who finished their sentencing at least five years ago. A Canada TRP can be obtained quickly but is only a short-term solution good for up to three years. Have a DWUI arrest or conviction and need to travel to Canada? Call us now for a free extensive consultation! Wyoming statute 31-5-233 "Driving or having control of vehicle while under influence of intoxicating liquor or controlled substances" covers the legality of impaired driving in the state. In addition to the legal ramifications of such a conviction, there are also administrative penalties enforced by the Department of Motor Vehicles (DMV). Punishment for a first DWUI offense includes a mandatory administrative driver's license suspension of 90 days or longer. If the person's blood alcohol content (BAC) was higher than 0.15 they may also require an ignition interlock device (IID) in order to have their license reinstated. First-time DWUIs do not carry a minimum mandatory incarceration period, but the misdemeanor offense can lead to up to six months in jail as well as a fine as large as $750. If a child 16 or under is in the vehicle at the time of arrest, the driver can face six months to one year incarceration. First time DUI or DWUI offenses in Wyoming influence sentencing for future alcohol-related driving violations for as long as ten years, and subsequent DWUI arrests may require alcohol treatment or a substance abuse assessment as a prerequisite towards reinstatement of a driver's license. Refusing a chemical test or breathalyzer is also a criminal charge in Wyoming, and anyone who does so and does not plead guilty to the offense within ten days of their arraignment may receive a six month suspension of their license with no opportunity to apply for a hardship license during this time. The state of Wyoming also has a zero tolerance law for underage drivers. Any driver under 21 with a blood alcohol concentration above 0.02% can be charged with driving while under the influence of alcohol as a minor, which could also cause potential issues when visiting Canada. When it comes to crossing the Canadian border, as soon as someone is arrested they can become inadmissible even though they have yet to be convicted. This means that anyone awaiting trial for a DWUI, or taking part in a diversion or deferral program, may require a TRP to enter Canada until they have documentation proving a favorable legal ruling. Similar to visiting Canada with a driving while intoxicated charge, crossing the Canadian border with a DWUI can result in a denial of entry if a person has not received proper permission. If you wish to go to Canada with DWUI appearing on your record, call us today for a free assessment.